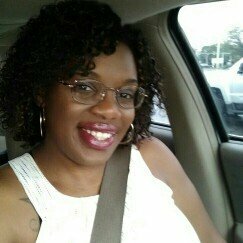 I am a 31 year old, natural curly haired stay at home momma to 3 boys, 1 sweet babygirl... Living, laughing, and Loving life as I embrace 30s and all they have to offer! You can follow me as I share daily life pictures with my boys on [email protected]_!! I like a good raspberry and this is one of the best vinegarettes I have tasted to date. I would recommend it time and time again and will repurchase! This is absolutely hands down one of the best dressings I have ever tasted! It is absolutely worth the price and I purchase it all the time! I love these juices not the biggest fan of the prices but I splurge and buy them every now and then when I want a treat or need the extra boost of veggies and vitamins! My kids love to grab and drink these juices and I like that the newer packages are made see throw these days so you can see exactly what your kids are drinking! I am in love with Tropicana orange juice it is my absolute favorite and my family buys it frequently. It is a little pricier then the average orange juice but it is worth the price! These were a hit with my kids and easy and fast to grab. I received them to review but I would purchase! The price isn't bad either for a tasty product! I really enjoyed the flavor of this oatmeal. I am not really a fan of the whole steeping overnights or cold oatmeal so for that reason I wouldn't repurchase. (I received this product free to review) But if you are in a rush in the morning I say give it a try and warm up if you can at your destination! Who doesn't like grand marnier it's the perfect shot drink! I would buy it again and I refer it to people. A couple to few shots and you'll be good for the night! This is a go to with some orange juice. I hate actual coconut but I love the flavor. Go head buy and enjoy the smooth taste and swallow. I would buy again and refer!